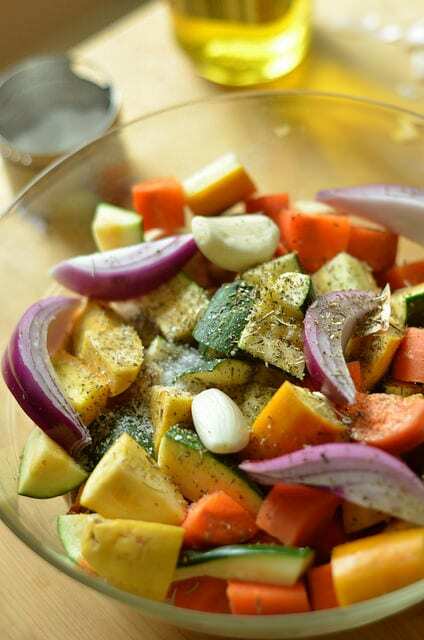 Raise your hand if the very thought of the aroma of roasted veggies in your oven gives your heart a little pitter-patter. 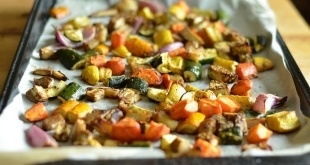 Roasting vegetables is one of the easiest ways to make them approachable, especially to humans of the smaller variety. They smell amazing and they taste even better, since the process of roasting caramelizes the veggies (or, in more clinical terms, concentrates the sugars in the vegetables in a way that is pleasing to the taste buds). But if you’ve never done it then it can be overwhelming to think about. True fact: Before surgery, Nik had never roasted a vegetable before! I’m so serious! 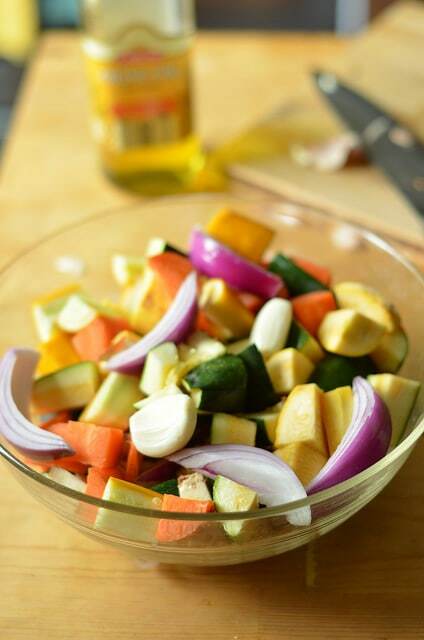 So here’s your step-by-step guide to roasting veggies – any veggies – so that they make a delicious base or accompaniment for your next favorite dish. But play around with it! Get fancy with Brussels sprouts or asparagus. Try carrots and sweet potatoes. Mix it up with various types of squash. Really…the possibilities are limitless! But once you’ve chosen your veggies, you need to get them “roast ready.” Now you can certainly roast any vegetable whole, after removing the skin if necessary (cuz a roasted skin-on onion…no). My advice, however, is to chop them up a bit. 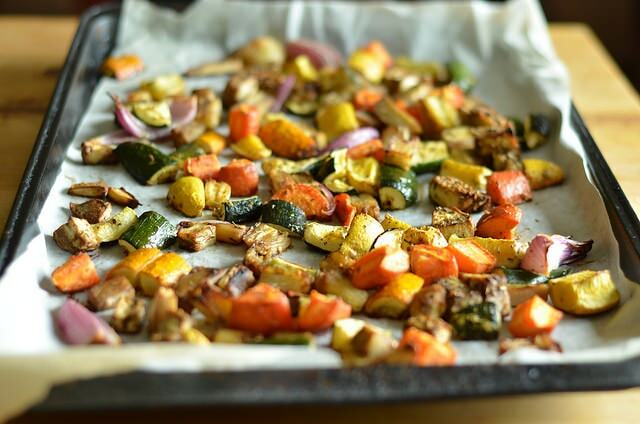 It helps them to roast faster and helps your tray of roasted veggies cook more consistently. I personally chop them very large but you’d chop them according to how it’d be most convenient for you after you have roasted your veggies. For example, if your intention is to puree them, it doesn’t matter what size you chop them. However if they are going into a side dish, you may want to cut them smaller to eliminate the future step of cutting them after they roast. Step Two: To Oil or Not to Oil? Honestly, it’s a personal decision. My post-bariatric plan allows a certain amount of healthy oils, such as extra-virgin olive oil. As always, you should follow YOUR plan. But here are a few things to consider. 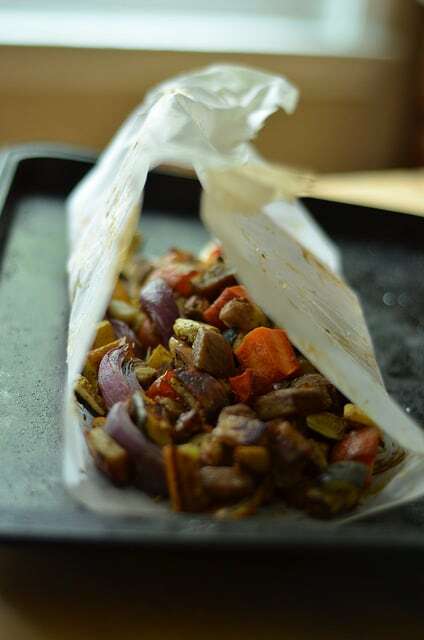 If you don’t use oil (or use very little) you should bake your vegetables atop parchment paper, to prevent sticking. If you do use oil, make sure you measure it so you can log it! That shot above? Where I’m just pouring? That was fun, but don’t do that. Measure! At this point you’d also want to add any spices you tend to use. As a general rule, I pretty much stick to salt and pepper. But there are all sorts of things you can add, like Italian seasoning or Herbs de Provence (by the way, I love saying that). Play around with it and find the combo you like. For good measure, I also throw in a few of the biggest peeled garlic cloves I can find. Just because they taste insanely good when they are roasted! So this where stuff gets real in your house. When you put those veggies in the oven, your house will smell unbelievably delicious. You may attract the natives. Be prepared! A few things to point out about the baking stage. You’ll see various oven temperature settings for roasting veggies, but in general you want to roast a fairly high temperature. I generally set my oven temperature to about 425 degrees. Notice my old, warn, dark cookie sheet. That’s of note. If you have a dark cookie sheet, use parchment paper! Dark bakeware cooks things faster. So either use a relatively new cookie sheet + no parchment or just use parchment. To me, it’s a no brainer cuz…who wants to wash a cookie sheet? I usually roast veggies for about 40 minutes. That usually gives them a nice caramelization without burning them. Put them on for 30 minutes, though, and check them every few minutes thereafter, as oven temps can vary. Remember when I said there are special rules for tomatoes? Well here they are. Generally, I leave the skin on my tomatoes when roasting them. This helps to keep everything that is supposed to be inside the tomato inside. However if you are preparing a recipe where you need to de-seed the tomato, you can go ahead and cut it and while you are cutting it you might as well peel it. The easiest way to do that is to dip it quickly in a pot of boiling water then use a fork to remove the skin. I also highly advise skinning bell peppers and eggplant, as their skins turn plasticky (not rubbery, plasticky) after roasting. After the veggies come out of the oven, that’s sort of the danger zone there. They smell so good. They look like they taste so good. At least not for a few minutes. Veggies tend to fill with water. Water gets hot. When water gets hot it can burn you! Burnt tongues are not fun. You don’t have to let them completely cool before you eat them. My advice though? Have a plan. The things are like candy at this point, they taste so crazy good. So know what you are going to do with them. Will you mix them with couscous or another grain to make a side dish? Maybe you’ll put them in soup or chili? Maybe you will puree them? The choice is yours. All I’m saying is if you don’t have a plan and you end up noshing all your roasted veggies do not blame me. I warned you! 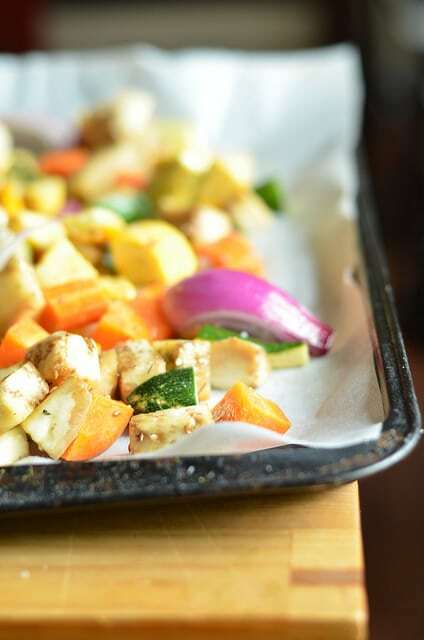 Whatever you choose to do, you’ll be glad you used parchment when you are extracting your veggies from the cookie sheet because it’s hella easy. Then you dump them into a container. See? Easy! Then comes my favorite part. You ball up the parchment paper, give your cookie sheet a quick rinse, and you are DONE! So those are the basics of roasting vegetables. I hope this little guide empowers you to give it a try. Or if you are already an avid veggie-roaster, feel free to forward this blog post that the friend who eats everything out of a box (we all have that one friend). Either way, enjoy the earth’s abundance! It’s healthy and deeeeeee-licious! This is Nik checking in. Folks already know Jen and I can be like night and day with our cooking. Here is another example. 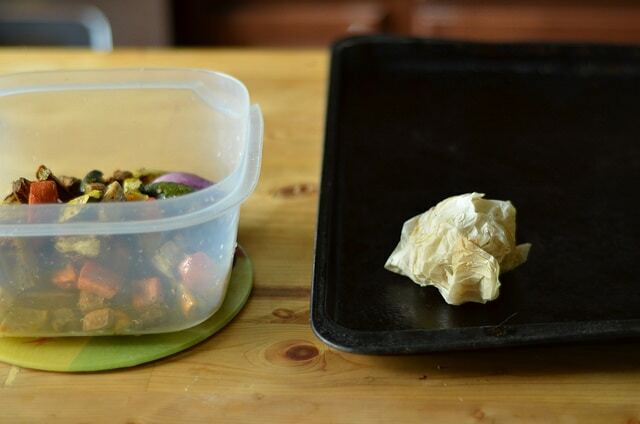 I roast veggies dry. I spray down a cookie sheet, sprinkle w/ salt and pepper and roast away. 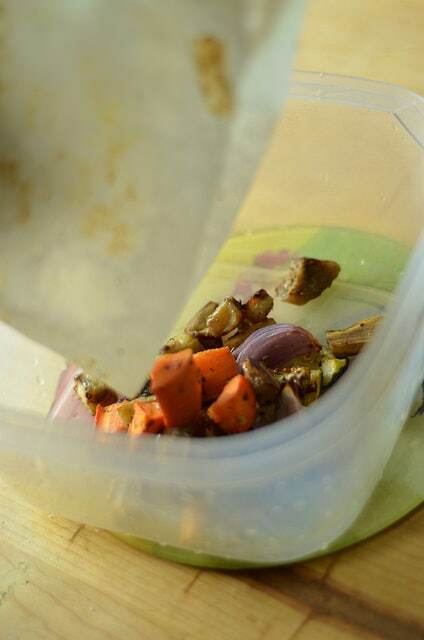 My kids tend not to like the taste of olive oil (and they CAN detect it whenever I use it) so when I saw one day on the Biggest Loser that you can roast veggies dry I tried it and they loved it! I'm 4 weeks out from my RNY gastric bypass surgery and am down 25 pounds. I'm so excited to find this site. I've bookmarked you and will be visiting often. I'm already tired of my shake, yogurt, and cottage cheese diet. I'm thrilled to have some very yummy choices to make soon. 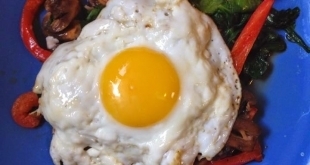 I am so happy I came across this site, I am 10weeks out from bariatric surgery, and needed some new recipes. 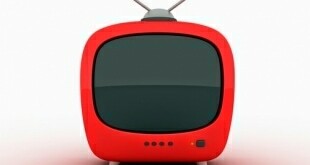 But found also some great tips ! So thanks for everything! So glad I found your site. I am almost 4 weeks out from my surgery and am already looking forward to trying many of these recipes. 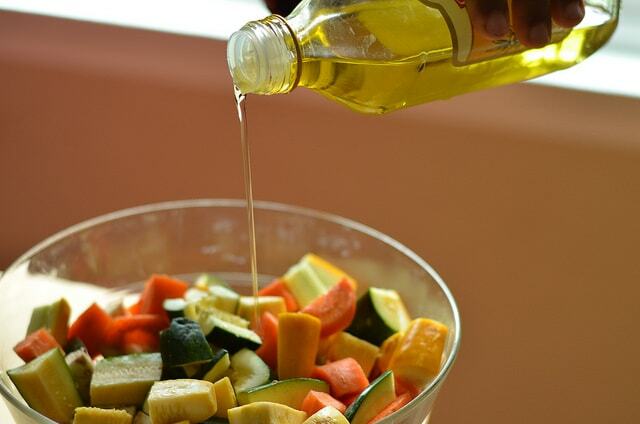 I was roasting veggies prior to my surgery and have found that using different oils can impart some different flavors. One of my favorites is to roast green beans using sesame oil and salt. Very delicious.